Least Bitterns are incredibly difficult to catch in flight. This was taken in April of 2011 at the Viera Wetlands in Florida which has become one of my favorite places to photograph birds. I wrote an article about the Viera Wetlands that was recently published in Nature Photographer Magazine in their new App version of their wonderful publication. If you are not familiar with this publication and you are a nature photography enthusiast, please check out their magazine! This entry was posted on Saturday, April 7th, 2012 at 10:27 am. 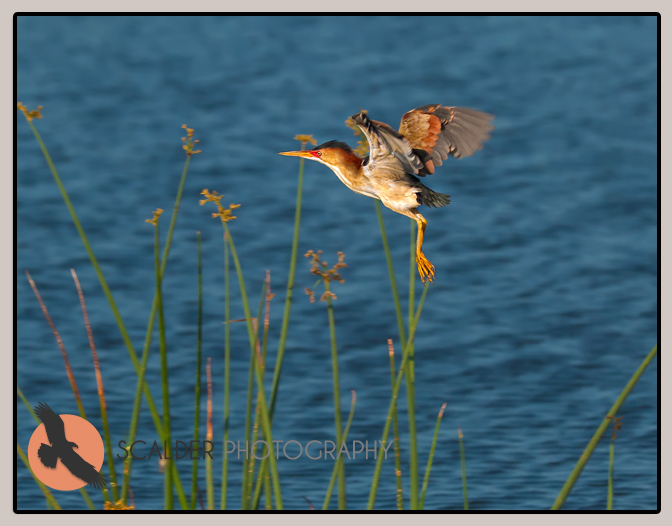 It is filed under Animals / Wildlife, Collections, Landscape, Nature and tagged with Ardeidae, bird, bird in flight, bird photography, Least Bittern, Least Bittern in flight, lxobrychus exiles, sandra calderbank, scalderphotography, Viera Wetlands, wetland. You can follow any responses to this entry through the RSS 2.0 feed.